With our revolutionary outward swinging door, the 32" wide opening makes it the easiest Walk-In-Tub to access. 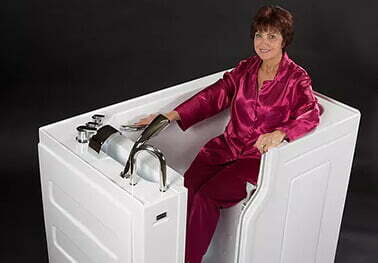 Our Bariatric Walk - In - Tub with the same 32" wide outward swinging door. With the 30" wide seat, it gives you more room and comfort. Center Drain 36" X 36"
This unit is specifically designed for bathrooms with limited space options. 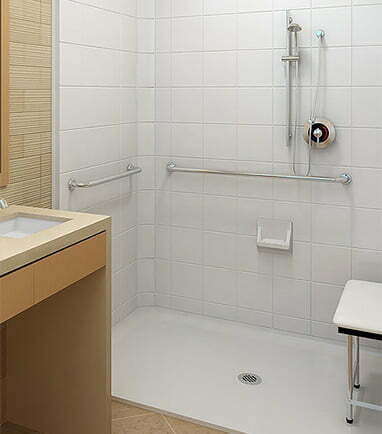 Features a Phenolic fold seat - grab bars - hand held flexible shower head - easy control lever faucets. Right Drain 60" X 30"
A low 2 inch threshold allows it to fit perfectly into the traditional bath tub area of the same dimensions. All models are engineered with a superior patented solid wooden core. This allows for grab rails and seats to be mounted anywhere within the unit (no backing required). 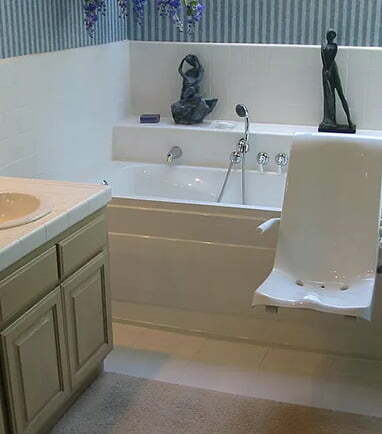 Accessories include; Ceramic tile pattern finish - grab bars - Phenolic fold down seat - easy lever controls. 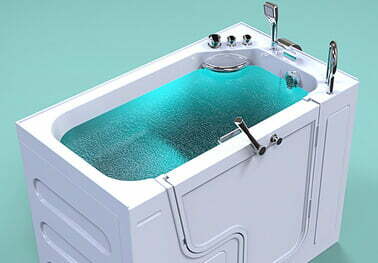 A fixed-height bath with a integrated transfer seat. Both come complete with integrated transfer seat and manual or powered traverse. 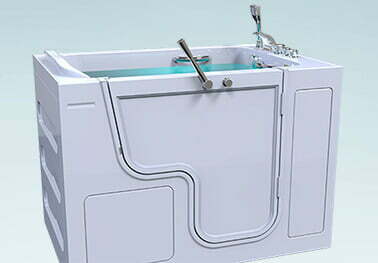 This ensures safe and easy access in and out of the bath, allowing bathers to retain a greater level of independence in residential care or nursing home environments.